Undercover Boss: Break or Build the Brand? Steve Joyce of Choice Hotels put it all on the line. Did he win or lose? 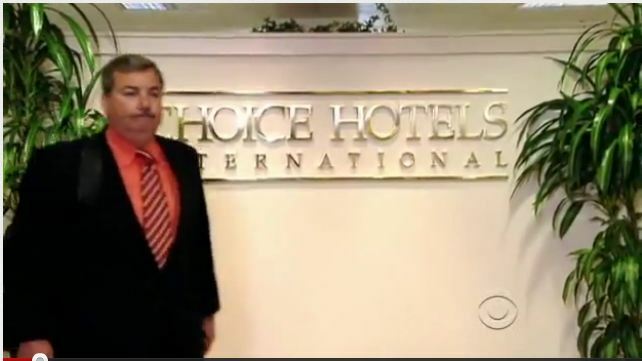 Perhaps a bit behind the times, but better late than never, I watched a repeat of the Undercover Boss episode featuring Steve Joyce, CEO of Choice Hotels (the fact that Joyce rhymes with Choice, incidentally, might explain in part why Joyce has his job – see Kahneman’s book [qv], but I digress). It raised the question in my mind, again, as to the impact this kind of thing has on the brand. This particular episode was a great case in point: it bravely exposed the warts of the brand as well as the limitations of the brand’s management. Joyce highlighted a number of problems in the hotels they selected, and in only one or two incidents did he focus on what they do fantastically. This is in sharp contrast to most of the Undercover Boss episodes which seem more like one hour brand-commercials. For this Choice needs to be congratulated, and also for the incredibly honest way in which Joyce allowed himself to be portrayed as a fallible, emotional and not completely tuned in CEO. My hat is off to all of them. But it does raise the question of what this kind of exposure does for the shareholders, franchisees, and associates. I’m not sure I have a position on it, but open the conversation in the hopes of generating thoughts and insights into the real value of magnified transparency. The show features Joyce working maintenance in what must be one of the worst maintained hotels in the system. What happened to standards? From the audience point of view, how typical is this? As insiders we know that updating old properties is expensive and also not at the discretion of the franchisor. Calling the hotel GM on the carpet seems a bit ingenuous, and frankly lacks credibility. I think more should have been made of the potential to pull the brand from non-performing properties in order to reassure the audience that this is atypical. In addition to the hotels where he worked, Joyce stayed in Choice brands along the way. This allowed further exposure of the brand’s weaknesses (elevator breakdown, no-coffee fiasco, etc.). In my opinion, this added nothing to the story and came across (from the professional point of view) as a negative mystery-guest report to franchisees and as a bad reflection on the brand (for viewers). This may have been a real mistake. On the subject of the coffee fiasco (in a Suburban brand property, Joyce discover that while there is a coffee machine in the rooms, coffee is not provided – guests have to go to the front desk and purchase the coffee), it seems strikingly odd that nobody considered the implications of this when developing the standards for the brand (the management team all looked stunned when Joyce suggested this was a potential negative guest touch-point experience). In a category where competitors are providing breakfasts and other perks, surely the “paying for coffee” standard was tested, discussed, tested again, until everybody was sure this was a good idea? Are potential guests reassured knowing the one front desk person on duty at night in a Comfort Inn does everything (front desk, laundry, pool, maintenance and much, much more)? And, the evident lack of complicity among franchisees (read “lack of interest”) in the management training system, cannot do much to inspire potential new employees. And yet…I cannot help but think that overall the brand came out looking good, largely due to the uber-humanity and sincerity shown by Joyce. It’s hard to know for sure – there were painfully few comments on YouTube. Google revealed one interview with Steve Joyce (http://jobs.aol.com/articles/2010/09/24/choice-hotel-undercover-boss/) in which he said he hoped the exposure had injected a bit of “humor, humiliation and heart), which it certainly did – mostly humiliation and heart, which are good things for brand building. In the interview Joyce also said he thought the show had helped – summer business was up and that could perhaps have been attributed to the exposure. I think this is unlikely – there was nothing about the show that suggests a tactical or immediate business lift. The most telling measurement would be to compare the on-line review site mentions for the choice brands before and after the show – my guess would be that there would be fewer negative reviews after the show and possibly more positive reviews. This because the show would, in my opinion, have resulted in guests arriving at Choice properties wanting to like them, because they want to like Steve Joyce. Add to this a slight moderation in expectations and the net result should be more satisfaction, less complaining; more goodwill, less need to punish the properties for not being perfect.